May God grant us to achieve as soon as possible the full unity of all believers in Christ. May we obtain this gift through the Apostles Peter and Paul, who are remembered by the church of Rome this day that commemorates their martyrdom and therefore their birth to life in God. For the sake of the Gospel they accepted suffering and death, and sharers in the Lord's resurrection. Their faith, confirmed by martyrdom is the same faith as that of Mary, mother of believers, of the Apostles and of the saints of every age. Earlier today in Rome, Pope Francis bestowed the sign of communion between himself and the metropolitan archbishops appointed in the previous year. 35 metropolitans received the pallium today on the solemnity of Saints Peter and Paul. The Vietnamese archbishop could not go to Rome so his pallium will be given in Vietnam. 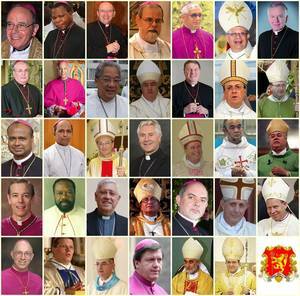 25 of the metropolitans were Benedict XVI appointees. As a point of comparison, sacraments are to take place during a Eucharistic celebration following the homily; They are: Baptism, Confirmation, Ordination, Matrimony, Anointing of the Sick.The pallium is a symbol of communion with the Successor of Peter, "the lasting and visible source and foundation of the unity both of faith and of communion" (Lumen Gentium, 18). And your presence today, dear brothers, is the sign that the Church's communion does not mean uniformity. The Second Vatican Council, in speaking of the hierarchical structure of the Church, states that the Lord "established the apostles as college or permanent assembly, at the head of which he placed Peter, chosen from their number" (ibid., 19). 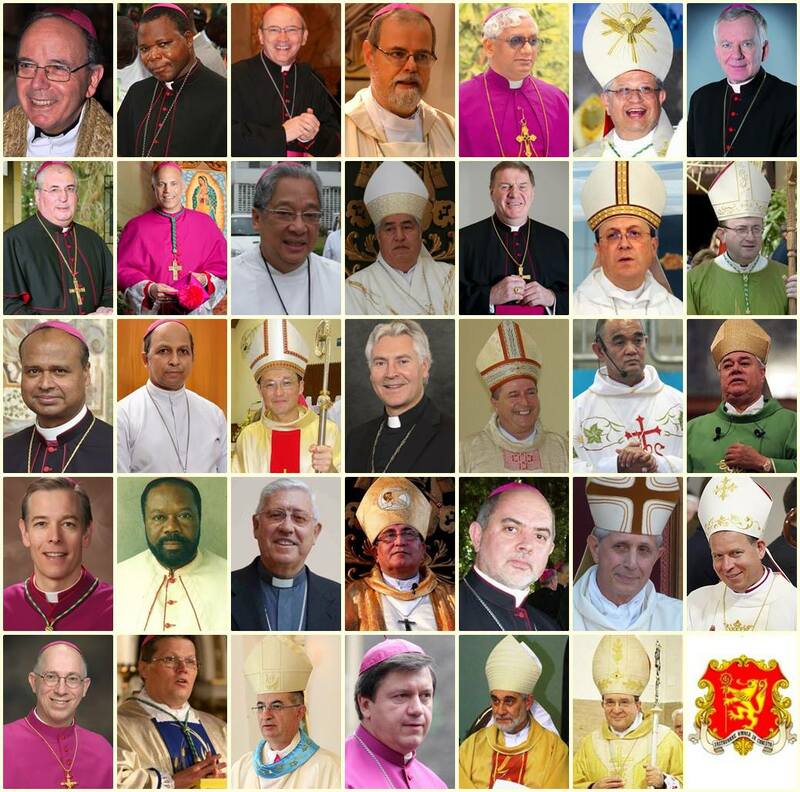 To confirm in unity: the Synod of Bishops, in harmony with the primate. Let us go forward on the path of synodality, and grow in harmony with the service of the primacy. And the Council continues, "this college, in so far as it is composed of many members, is the expression of the variety and universality of the people of God" (ibid., 22). In the Church, variety, which is itself a great treasure, is always grounded in the harmony of unity, like a great mosaic in which every small piece joins with others as part of God's one great plan. This should inspire us to work always to overcome every conflict which wounds the body of the Church. United in our differences: there is no other Catholic way to be united. This is the Catholic spirit, the Christian spirit: to be united in our differences. This is the way of Jesus! The pallium, while being a sign of communion with the Bishop of Rome and with the universal church, with the Synod of Bishops, also commits each of you to being a servant of communion. The rite today followed the Cerimoniale Episcoporum (Ceremonial of Bishops). 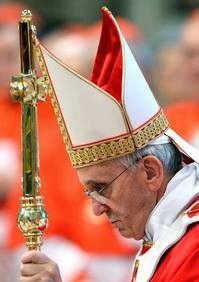 The pallium is not a sacrament, nor is the pallium a sacramental in nature. It is a symbol of communion between two people: the residential archbishop and the Bishop of Rome. The is generally given only to archbishops who head archdioceses and not to those who have the title of archbishop for other reasons (nuncios, Vatican curia officials, those who have received the title ad personam), but the pope can give to anyone he chooses (which hasn't happened in a long time). 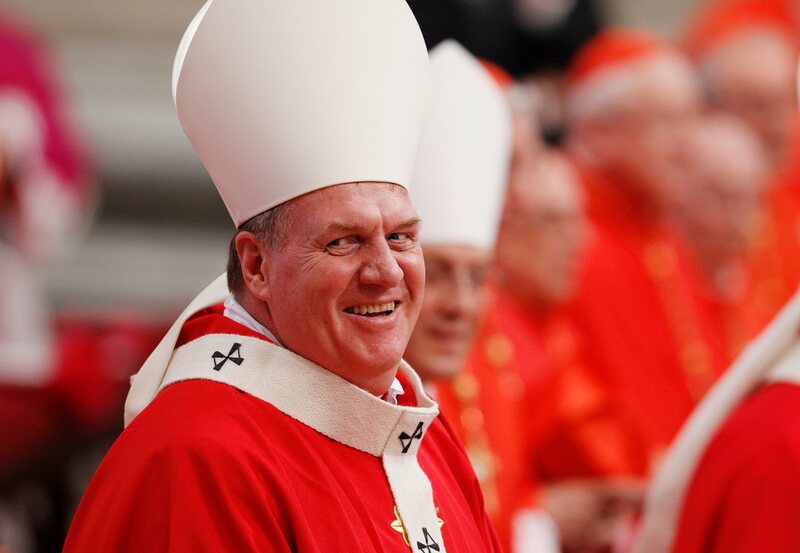 (In the picture is Archbishop Joseph W. Tobin, CSsR, archbishop of Indianapolis wearing his pallium at St Peter's Basilica, Rome. Photo Paul Haring, CNS). As reported in secular and religious media, the Institute for the Works of Religion (IOR) --known popularly, even if inaccurately-- has been a bête noire for recent popes. The IOR is a colossal distraction for Catholics and for the seculars due to the mismanagement and problematic behavior of certain clergymen. 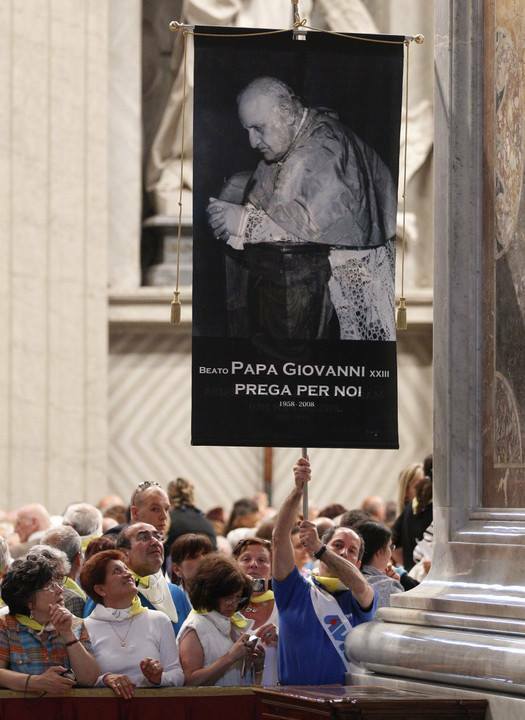 If Pope Francis doesn't get this problem under control and fixed, his work will be weakened. Today, it was announced that Pope Francis, following on the systemic changes made made by Pope Benedict, is very serious in his intentions to reform the IOR. The Pope established a commission and published directives. Two of the members of the commission are Americans. All members answer solely to Francis. Here is the Chirograph by which establishes a Pontifical Referring Commission for the Institute for the Works of Religion (IOR). 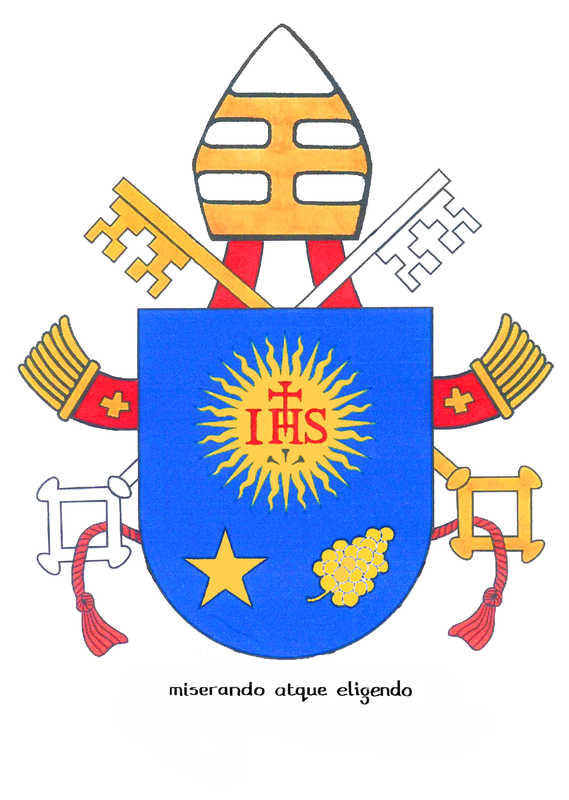 "With his Chirograph of 1 March 1990, Blessed John Paul II established the Institute for the Works of Religion as a public juridical entity, giving the Institute a new configuration while maintaining its name and purpose. With the same perspective, taking into account that he wished to better adapt the Institute's structures and activities to the needs of the times; following the invitation of Our Predecessor Benedict XVI to allow the Gospel principles to permeate even the activities of an economic and financial nature; having heard the opinion of various Cardinals and other brothers in the Episcopate as well as other collaborators; and in light of the need to introduce reforms in the Institutions that give aid to the Apostolic See; We have decided to establish a Referring Commission for the Institute for the Works of Religion that will gather accurate information on the Institute's legal position and various activities, in order to allow, if necessary, a better harmonization of the same with the universal mission of the Apostolic See. 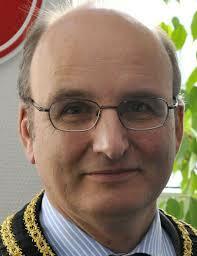 The Commission is to carry out its proper duties in accordance with this Chirograph and Our working arrangements. Continue reading Pope Francis sets stage for reforming the Vatican Bank. Here are some pictures of Bishop Anthony Wieslaw Krótki, OMI's episcopal ordination in Rankin Inlet, Nunavut this past May. He is the 6th bishop of the diocese. The Bishop's biography is here. Bishop Krótki, 49, a Polish born missionary of Mary Immaculate, is the new Bishop of Churchill-Baie d'Hudson, Manitoba, Canada. 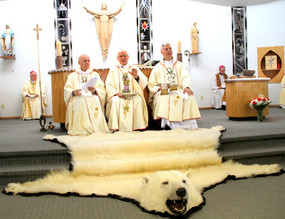 The Churchill Diocese is Canada's largest diocese land-wise. The snowfall is quite significant up there in this Canadian province. He's fluent in Polish, English and can communicate in Inukitut. According to recent statistics there are 6,100 Catholics in this diocese in 17 parishes with 7 religious order priests; no secular priests. 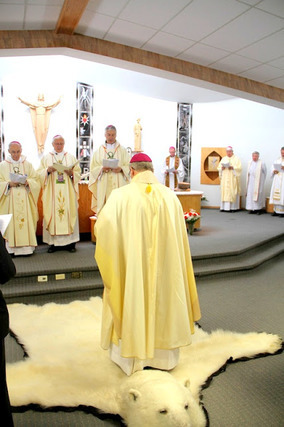 God bless Bishop Anthony Wieslaw Krótki, and the diocese of Churchill-Baie d'Hudson! Pictures are courtesy of Archbishop Terry Prendergast, SJ. Continue reading "A bishop of the people," Bishop Anthony Wieslaw Krótki ordained. In an article on May 30, 2013 by Rachel Donadio for the NY Times, "Vatican Bank Looks to Shed Its Image as an Offshore Haven" does look into the Vatican Bank's recent past. Before his retirement in February, Pope Benedict appointed Ernst von Freyberg, 54, as the new head of the bank that causes a lot of distraction. Officially, the real name for the Vatican bank is the Institute for Religious Works (IOR) or sometimes the IOR is called the Institute for the Works of Religion. The IOR is not a commercial bank like Chase or TD Bank. Mr von Freyberg is a German citizen, an accomplished businessman with strong Catholic roots and who is a member of the Order of Malta, a group of faith Catholics who serve the Church and society by defending the faith and serving the needs of the sick and poor. "Our mission is to serve and shine," the bank's president, Ernst von Freyberg, said with a smile. "Our first pillar is transparency." He spoke from an office in the medieval tower that houses the bank inside the Vatican, beneath a painting depicting a Gospel lesson, "Render unto Caesar what is Caesar's, and to God, what is God's." Continue reading Vatican Bank begins to change image. I am pleased to welcome you here, at the tomb of the Apostle Peter, in this place that is home to every Catholic. I affectionately greet your Pastor, Bishop Francesco Beschi, and thank him for the kind words he addressed to me on behalf of all. Exactly fifty years ago, just at this moment, Blessed John XXIII left this world. Those who, like me, [are of] a certain age, retain a vivid memory of the commotion that spread everywhere in those days: St. Peter's Square had become a sanctuary in the open, day and night welcoming the faithful of all ages and social conditions, in trepidation and prayer for the Pope's health. The whole world had recognized in Pope John a pastor and a father: a shepherd because [he was] father. What made him such? How could he reach the hearts of so many different people, even many non-Christians? To answer this question, we can refer to his episcopal motto, oboedientia et pax: obedience and peace. "These words," noted the then-Archbishop Roncalli on the eve of his episcopal ordination, "are [in a way] my story and my life." (Journal of a Soul, retreat in preparation for consecration as bishop, 13-17 March 1925). Continue reading Pope Francis shows the import of Blessed John XXIII on his anniversary of death. 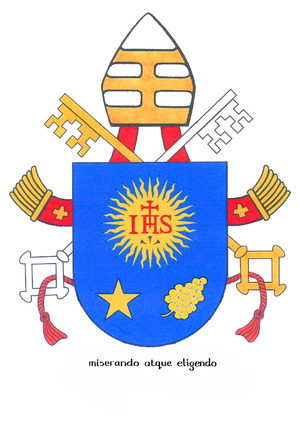 This page is a archive of entries in the Holy See category from June 2013. Holy See: May 2013 is the previous archive.